The main goal of the Media Gold company is the production of board games and packaging in a transparent and safe manner. Taking care of the excellent execution of projects entrusted to us, we make every effort to ensure that our products are safe and meet the legal and social standards applicable not only in Poland but throughout the European Union. In connection with the above, we continually use the highest quality raw materials, improve our processes and introduce a quality policy. 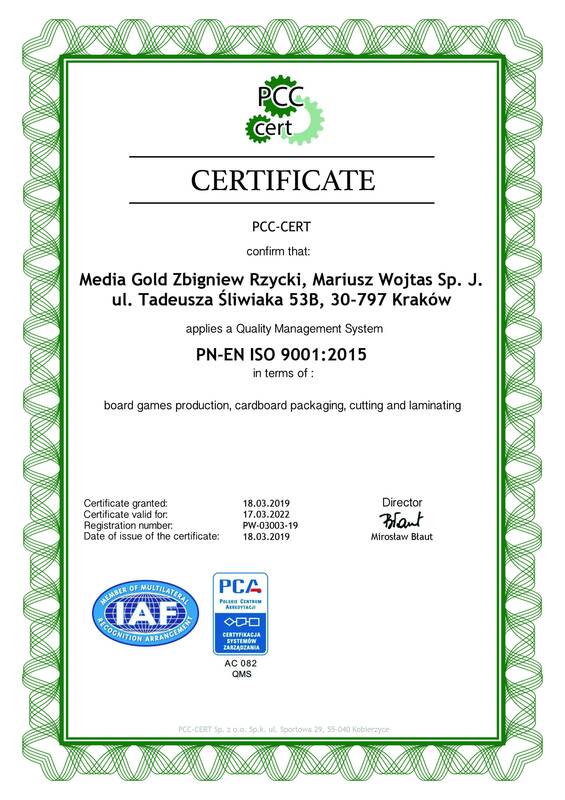 Media Gold company is ISO 9001 certified in the production of board games and cardboard packaging, which is a globally recognized quality standard. We produce in accordance with ISO 9001. 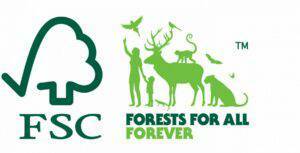 We place great emphasis on the fact that the materials we buy come from forests managed in a responsible way. We feel responsible for the natural environment, which is why we care about compliance with the law in this area. 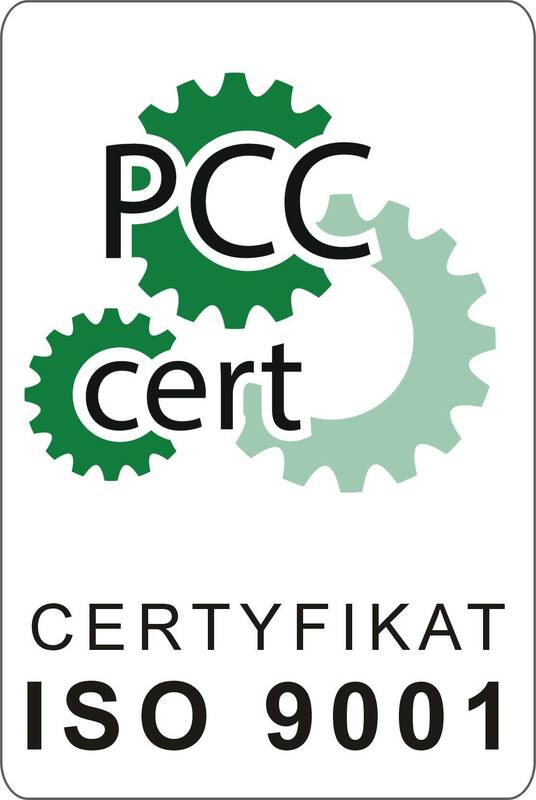 Thus, our company also has an FSC certificate.